A sneak peak at our new Magical World of Dance Boutique. Batavia's annual Batfest was a perfect occasion for us to introduce Batavia to our newly expanded space including our dance retail boutique and additional classroom space. 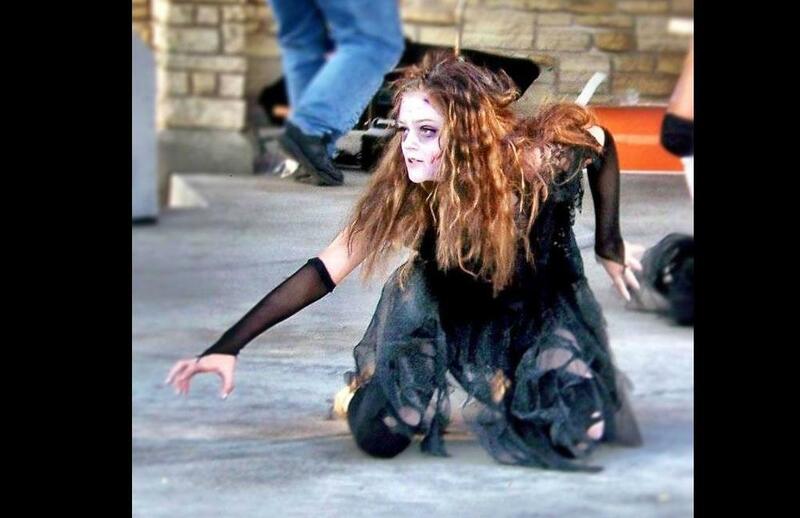 It was an exceptionally beautiful October afternoon when our competition dance team and dance students taught the princesses, goblins and frankenstien monsters the monster mash at the Batavia Peg Bond Center along the riverwalk. 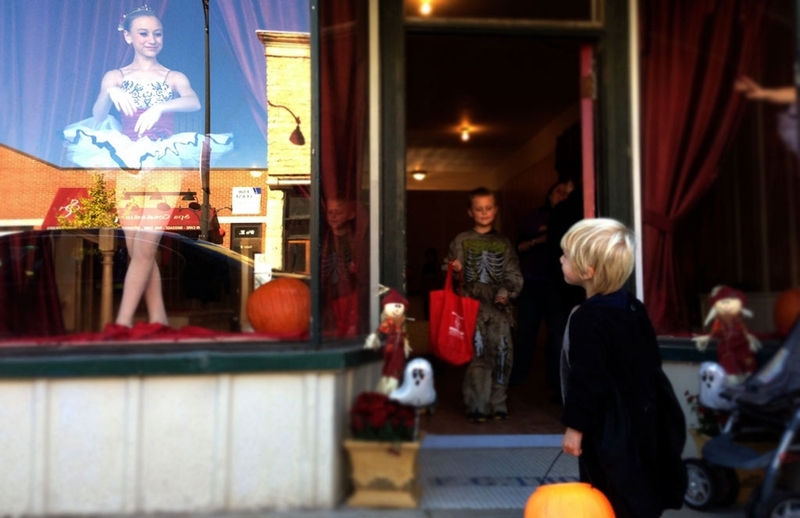 Just a block away across the river, trick-or-treaters were wowed this year by ballerinas and jazz dancers in the windows of our newly opened dance studio and boutique. Many kids looked as if they'd never seen anything quite like our sparkly and beautiful dancers in their elevated glass stages. Many parents were equally in awe discovering our studio for the first time despite having been on the upper floor since 2009. 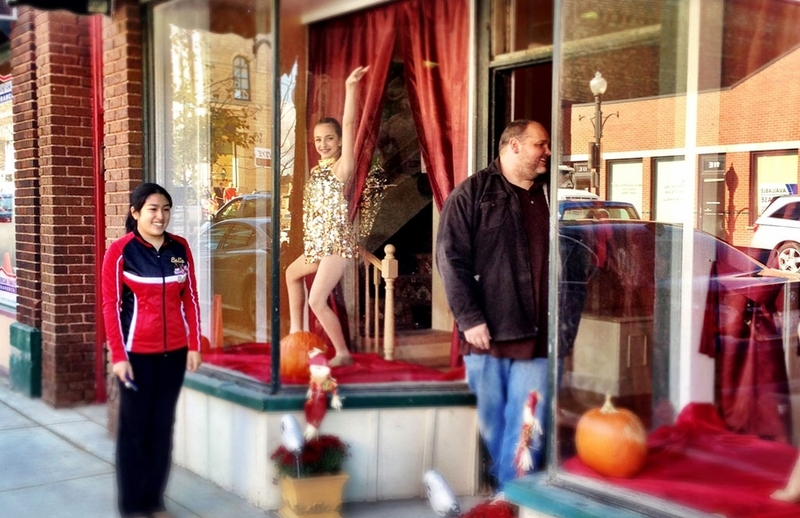 We'd love nothing more than to inspire someone into the amazing world of dance and see them in the window inspiring others some day. 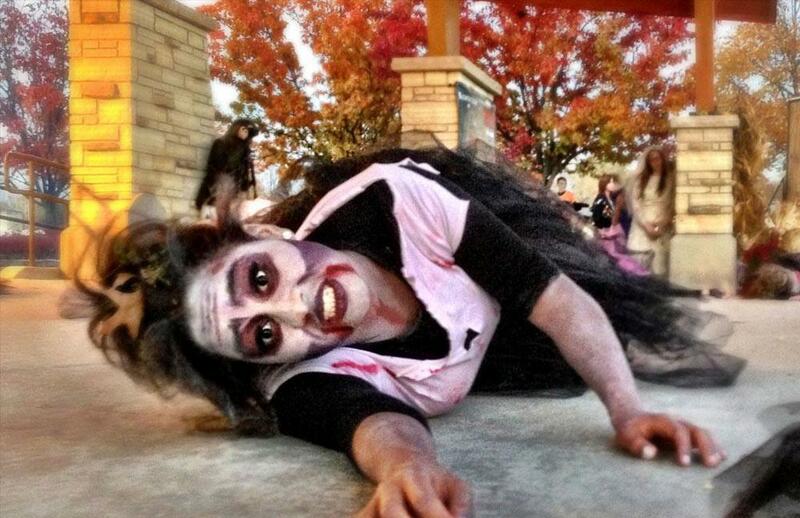 It was a tremendous fun day as we hosted trick or treating at the Academy, taught the Monster Mash at the Riverwalk, and then performed our infamous Thriller production at Zombie Walk!!! Cannot wait til next year!! !